Zion Health Launches Non-Fluoride, Natural Clay toothpaste to Five Markets in San Francisco, CA. Claybrite non-fluoride toothpaste formulated with a unique type of detox clay is now available for sale at Five Markets, located at 2824 24th Street, San Francisco, CA. 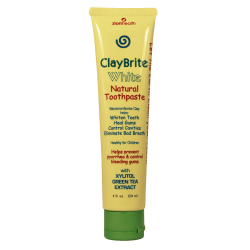 Claybrite is non-fluoride natural toothpaste formulated with a unique type of detox clay called calcium montmorillonite. Calcium Montmorillonite contains more than 57 trace minerals that are healthy for consumption and well known for its natural detoxifying properties. Natural health shoppers looking for an alternative to fluoride toothpaste may purchase ClayBrite at Five Markets located on 24th Street. ClayBrite was developed by natural health products pioneer Zion Health. The unique toothpaste was formulated to offer a natural alternative to those who are concerned about the toxicity levels in fluoride. Claybrite contains additional ingredients including grapefruit seed and spearmint oil. Both are well known for their antiseptic and anti-bacterial properties. This unique clay toothpaste is also sugar-free and contains natura lstevia extract and sorbitol as sugar alternatives. 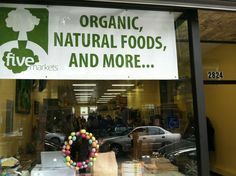 Five Markets is a small natural, organic, neighborhood grocery store that has been serving the community for over ten years. All products are selected with considerable care. Five Markets offers a wide variety of organic foods and drinks including kombucha, guayaki, bulk lentils, and vegan treats. Claybrite toothpaste is a unique addition to their natural body care department. Zion’s clay body care line may be purchased at Five Markets and may also be purchased online at http://www.adamaminerals.com. Zion Health provides consumers with pure skin and body care products that are vegan, cruelty free and aluminum free. For more information on Zion Health products, visit http://www.zionhealth.com.